Caption: The Mimrain, Panshanger Park, by Spencer Gore. Painted between 1906-1910. Gore knew this scene well and painted it a number of times. 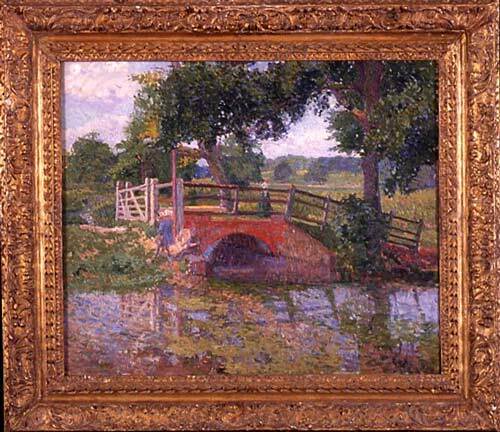 His technique of dashes of vibrant colour was learnt from his friends Pissarro and Sickert.